PECO Butterfly Valves are manufactured with the strongest and durable materials to ensure a long dependable and trouble free service. 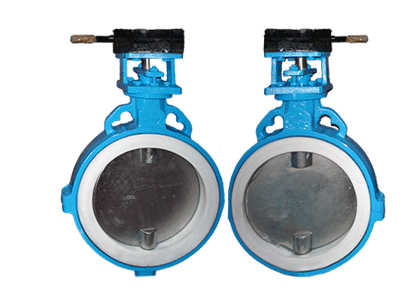 A butterfly valve is one which can be used for isolating or regulating flow. PECO is a leading manufacturer, supplier of butterfly valves in India and a leading exporter of butterfly valves to many international locations. Today PECO is a widely recognized leader in manufacturing and exporting of superior quality butterfly valves and other industrial valves for a wide range of applications. Our butterfly valves and other flow control products have a strong reputation for reliability, quality and service. Easy and quick opening and closing. Small fluid resistance. It can be frequently operated. Simple structure, small size, and light weight. It can transmit mud, and has the least amount of liquid accumulated at the outlet of the pipeline. Under low pressure, good sealing can be achieved.